Mount Druitt Hospital Children Ward’s new nurse unit manager Kate Lowe. 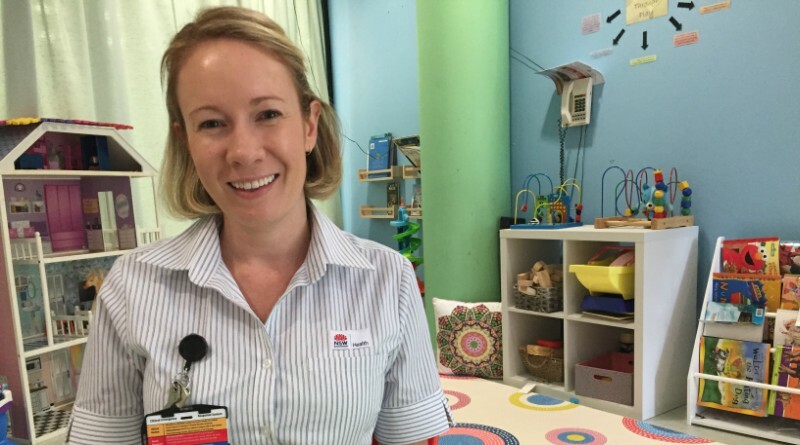 Mount Druitt Hospital has welcomed new nurse unit manager Kate Lowe to the Children’s Ward. The step mother of two has seen the sickest of the sick and patients with rare conditions. “Many people ask ‘how can you work in paediatrics? It’s too sad’,” Kate said. “I do it because kids always give back to you – no matter what they are going through. “This morning a doctor was having difficulty examining a child because he kept giggling and playing with the stethoscope. That’s just what kids do. “I’m used to working with challenges and in difficult situations. If I start to feel sad I try to stay strong because I need to be for the patients, their families and the staff. Kate said it was a privilege to join a paediatric ward in an adult hospital. “Paediatrics is a speciality and it’s a unique role to have,” Kate said. “There are many staff members who have been here for a long time. Kate said she was looking forward to working in a hospital with passion and community links. “An example of this is the local TAFE students who are refurbishing the children’s ward garden.